Torch Clubs are chartered small-group leadership and service clubs for boys and girls. The program is a powerful vehicle through which Club staff can help meet the special needs of younger adolescents at a critical stage in their development. Torch Club members learn to work together to plan and implement activities in four areas: service to Club and community, education, health and fitness and social recreation. Younger adolescents need positive group experiences that help them cultivate good character and effective leadership skills so they can become productive, responsible and caring citizens. 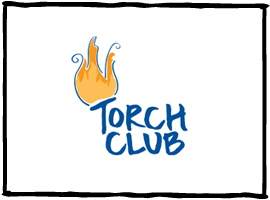 Want to participate in Torch Clubs? Or just have a question?